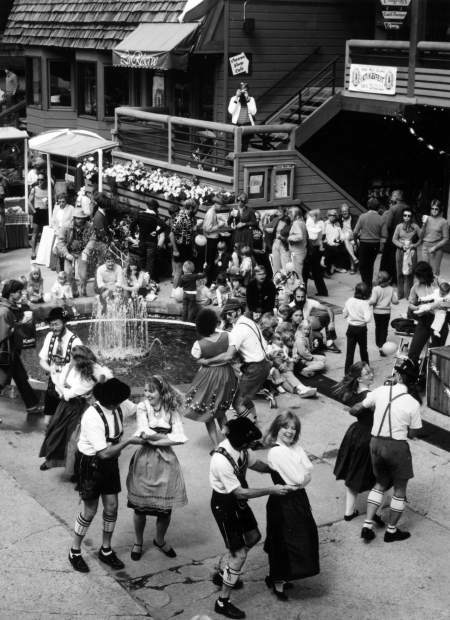 Dancers perform along the Snowmass Mall during the 1985 Oktoberfest celebration. 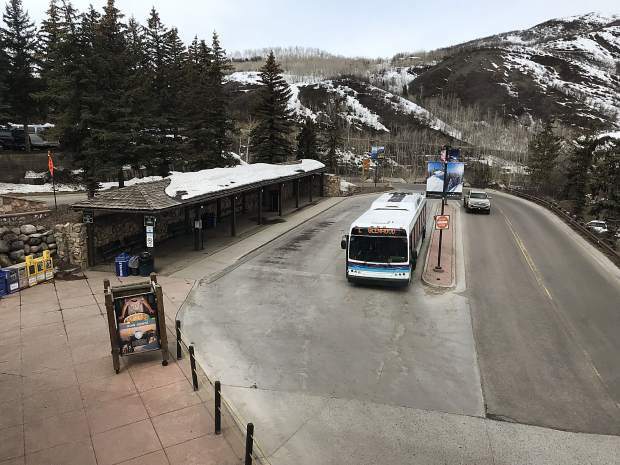 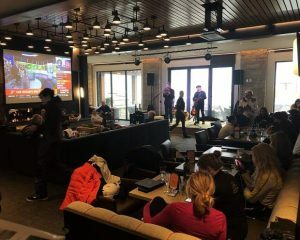 In addition to the movie and dinner, a “Kinder Parade,” led by the previous year’s Munchner Kindl, puppet and magic shows, along with a 12-piece Bavarian oompah-pah band and folk dancers provided a continuous lineup of entertainment. Booths provided Bavarian food, drinks and games throughout the mall for a truly fall festival.